The Around the Philippines blog and the Wonderful Cebu blog are travel blogs authored by Thaddeau "Thadz" Engaling II that are affiliated with the Cebu Blogging Community (CBC), a 76-member strong blogging organization fast becoming the premiere bloggers' community in the Visayas and Mindanao regions. CBC has appointed its first ever set of lead representatives. They will comprise the CBC Council of Leads or Managers alongside the permanent members. The recent appointees are tasked to represent specific blogging niches namely travel, photography, mommy blogging, food, fashion, technology and business, and lifestyle blogging. Permanent members of the CBC Council of Leads or Managers are Bjornson Bernales of Bjorn Bernales, Ruben Licera Jr. of Ruben Licera, Channel Marie Imperial of Channel Marie, Gay Aida Dumaguing of Exotic Philippines, Jephunneh Deon Flores of Kiat Cebu, Jhanis Vincentte Villadolid of the Cebu Gazette and Vanilla Housewife, and Mary Narvasa of Two Way Travels. Seven CBC members have recently been appointed into leadership roles as members of the CBC Council of Leads or Managers. Among the recent appointments to the CBC Council of Leads or Managers is Thadz who will be representing the travel bloggers in the council. To represent the food bloggers, Carlo Andrew "Caloy" Olano of Why Cebu and Kalami Cebu was appointed. For fashion bloggers, the representative will be Katherine Annika Cutar of Nested Thoughts. In the photo blogging niche, Meliton John "Emjae" Argallon of Emjae Fotos will be the representative. Mommy bloggers will be represented by Rose Angelie Lapiña of Mommy Wanders. Bringing the voice of lifestyle bloggers to the council will be Romeo Nicolas Bonsocan of Zuprome. 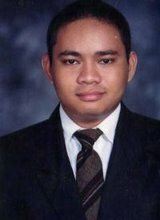 And the representation of technology and business bloggers will be through Cesar Ian Fuentes of Pinoy Metro Geek. The recently appointed members of the CBC Council of Leads or Managers were formally introduced to the general CBC membership during the CBC Members' Orientation Program held on 24 October 2015 at the Global Hub Serviced Offices, 12th Floor, Keppel Building, Cebu Business Park, Cebu City.